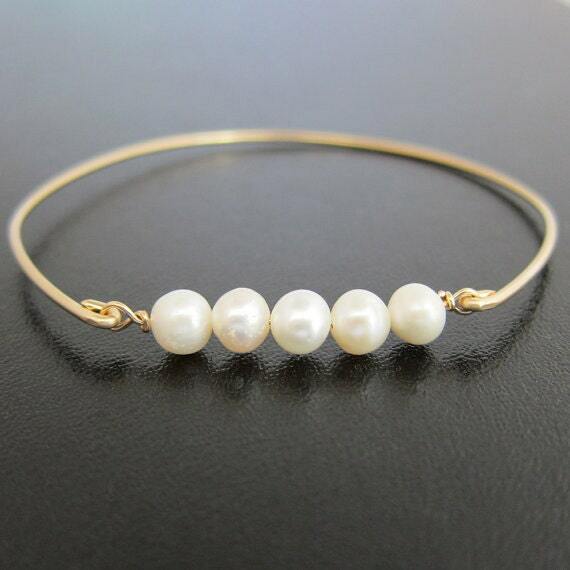 A row of 5 white cultured freshwater pearls will be transformed into an elegant cultured freshwater pearl bangle bracelet with a 14k gold filled bangle band. 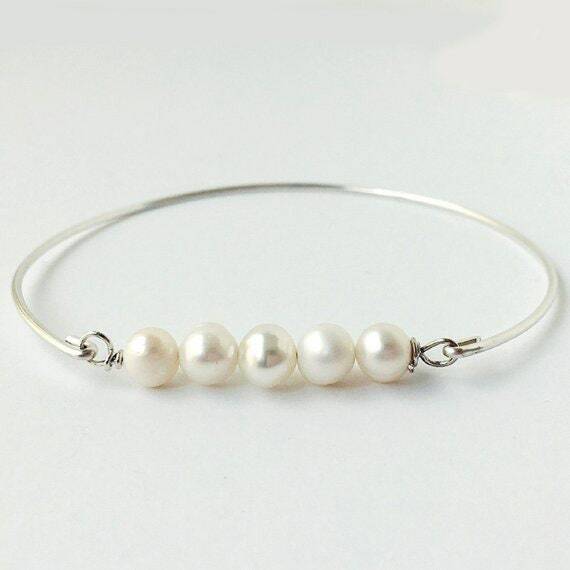 Perfect for unique bridal jewelry or other fancy occasions. 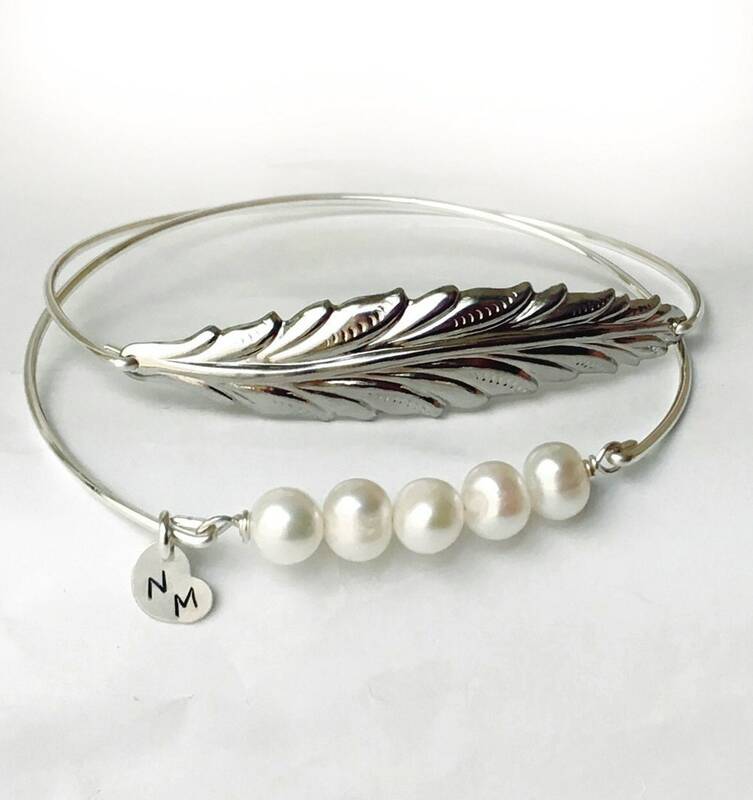 with a sterling silver bangle band. 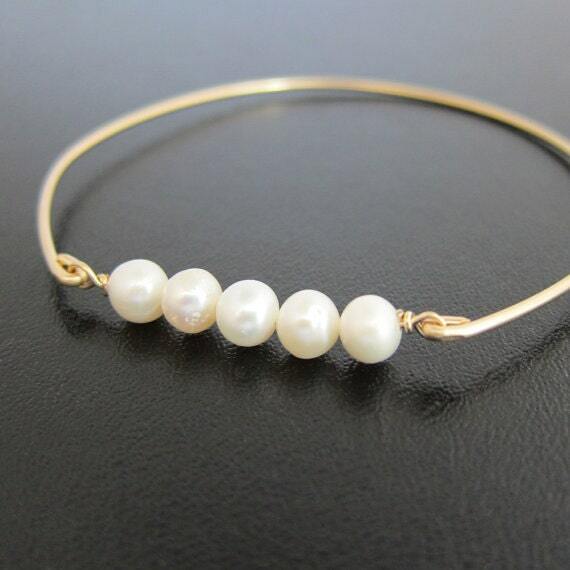 If you would like this option for your cultured freshwater pearl wedding bracelet select from options when ordering. 1) Select a size and quantity needed (in the chosen size) from drop down menus. Then add to cart. Then from within your cart click on the listing again. Choose the next size you want to order and the quantity needed for this size. Repeat as often as necessary to complete your order. 2) Make a note of the sizes you need either by looking at size options in the size menu-- or from size chart shown below in the description of this piece. Then from size options menu choose "Mixed Sizes in Notes" and then quantity needed. Then add to cart. Then from within your cart where it says "Add a note to FrostedWillow" you may enter the sizes and quantities needed. Sizing Tip #1) Look at MAIN SIZES below and read description of hand width/circumference. If you see a size & description that sounds like it's a good match, it's probably a great fit. Sizing Tip #2) If CAUGHT BETWEEN TWO MAIN SIZES above, for example caught between Medium 8.5 inch and Large 9 inch, choose the IN-BETWEEN SIZE of 8.75 inch below, and it should be a great fit. 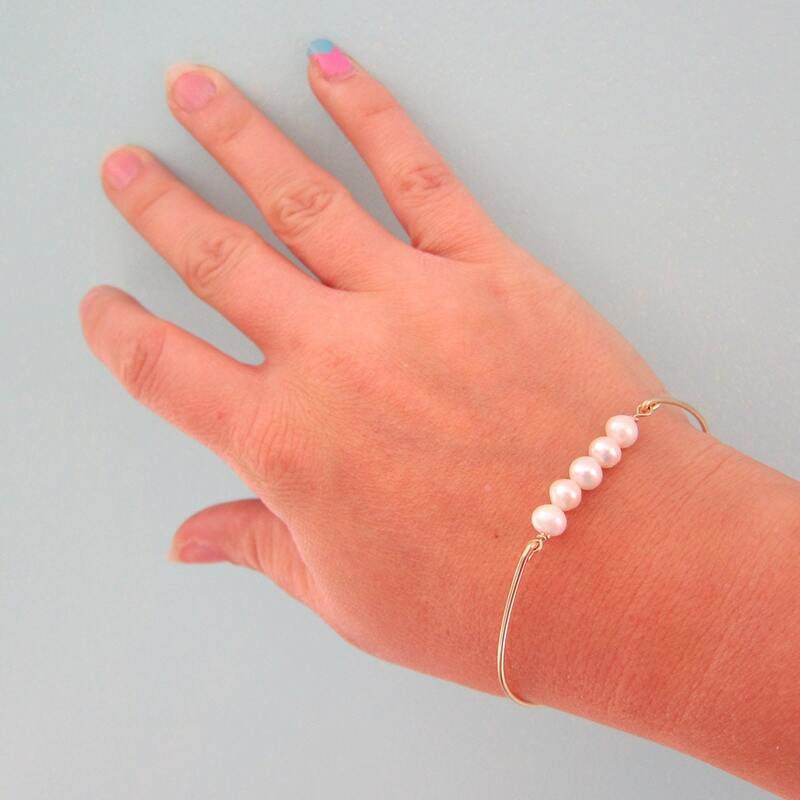 This cultured freshwater pearl wedding jewelry created and hand crafted with great care and love for you and yours. All of my items including this bridal jewelry are special handmade creations that are original Frosted Willow designs. 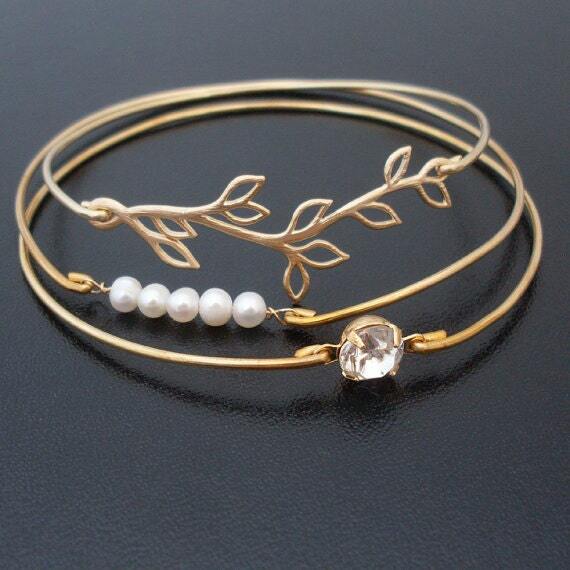 I hope you love this bridal bracelet!